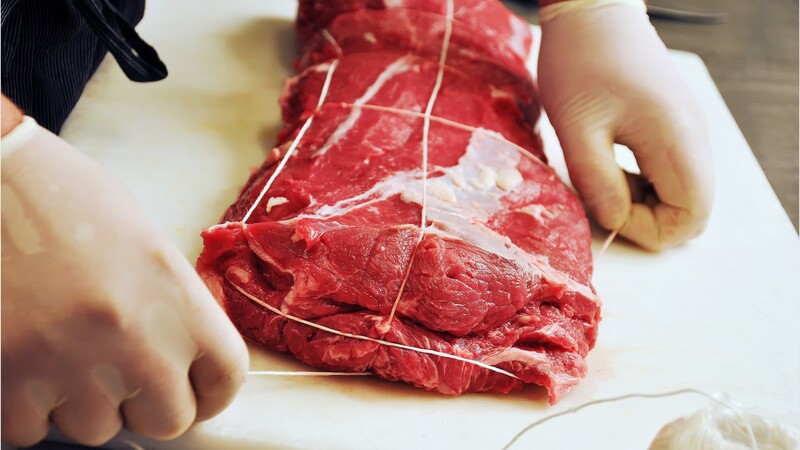 Whether they’re planning a grill out or bringing home a holiday roast, customers count on the skills of a butcher to prepare the meat they purchase. Butchers and meat cutters cut and trim meat into steaks, chops, and other cuts using knives, grinders, or meat saws. They prepare meat for sale— weighing it, wrapping it, and putting it on display. Butchers may serve customers directly. Butchers who run their own store often track inventory, order supplies, and perform other recordkeeping duties. In processing plants, these workers are known as meat, poultry and fish cutters and trimmers. Because they typically work on an assembly line, they usually perform a single cut repeatedly during their shift. These workers need to consistently follow procedures to meet safety and health standards. Butchers and meat cutters often stand for long periods, and usually work in cold rooms. Dexterity, strength, and stamina are also essential qualities in this field. There are typically no formal education requirements to become a butcher. They train on the job, learning simple cuts within a few weeks, and advancing to more complicated tasks over several months to a year. While most butchers work full time, shifts may be scheduled from early mornings to late evenings, and include weekends and holidays. Meat, Poultry, & Fish Cutters & Trimmers by U.S. Department of Labor, Employment and Training Administration is licensed under a Creative Commons Attribution 4.0 International License.